Attention Harry Potter fans! This gold tone metal chain necklace with a lobster clasp. 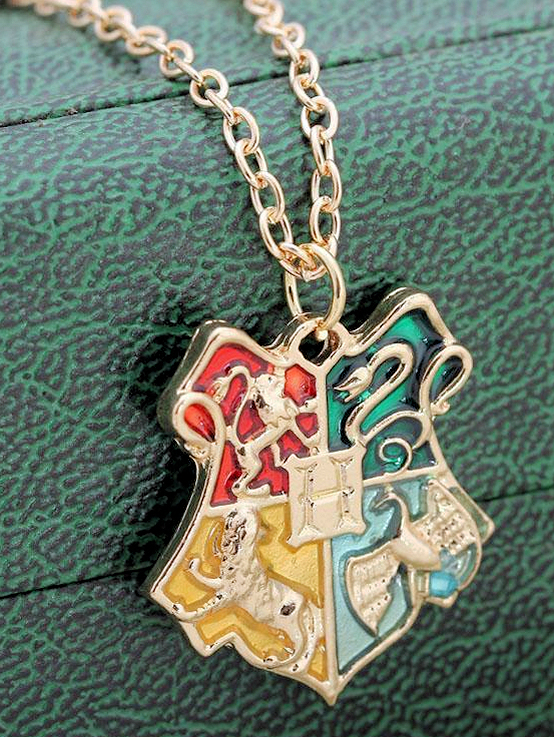 The Hogwarts crest gold tone pendent is metal and measures 1.10" tall. The chain necklace is 20".